Berlin might be my favorite city in the world. I spent six nights in the German capital, capping off a six-week adventure through Europe and Africa. Hippies, hipsters, punks, metalheads, yuppie gentrifiers, and a melting pot of international cultures all inhabit the city, giving Berlin a dynamic, lively feeling. The international culture brings international cuisine. We ate top quality Indian, Thai, American-style hamburgers, and pizzas to rival Rome. As the birthplace of doner kebab, we ate some of the best durum wraps of our trip. Then there's the German cuisine. Currywurst, pretzels, sausages, and beer. Independently owned shops, cafes, and bakeries reminded me of my hometown in Seattle. As did Berlin's markets and street fairs. On every day of our stay, we wandered into some sort of festival: pop-up markets of street food, arts/crafts, and music festivals. 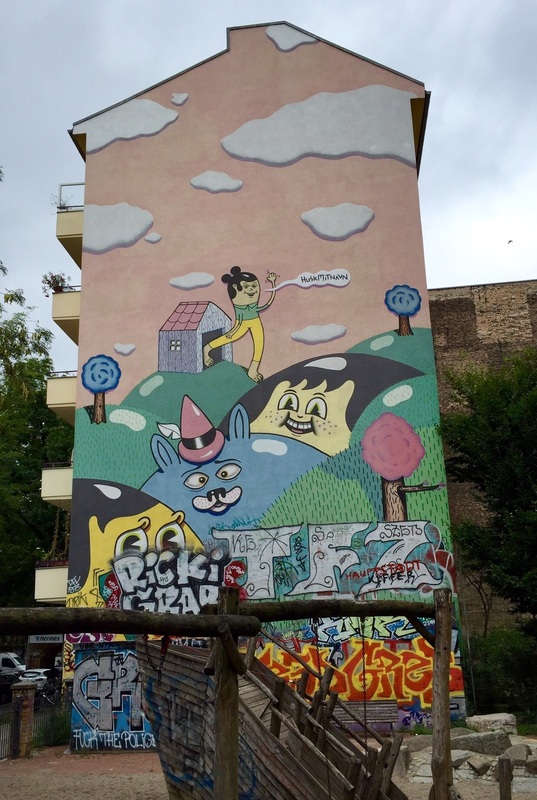 All of East Berlin is a canvas for street art. Businesses and residences embrace the visuals: sometimes playful, sometimes dark, always evolving. On an apartment building, facing a children's play ground. Probably in violation of Cartoon Network's copyright. 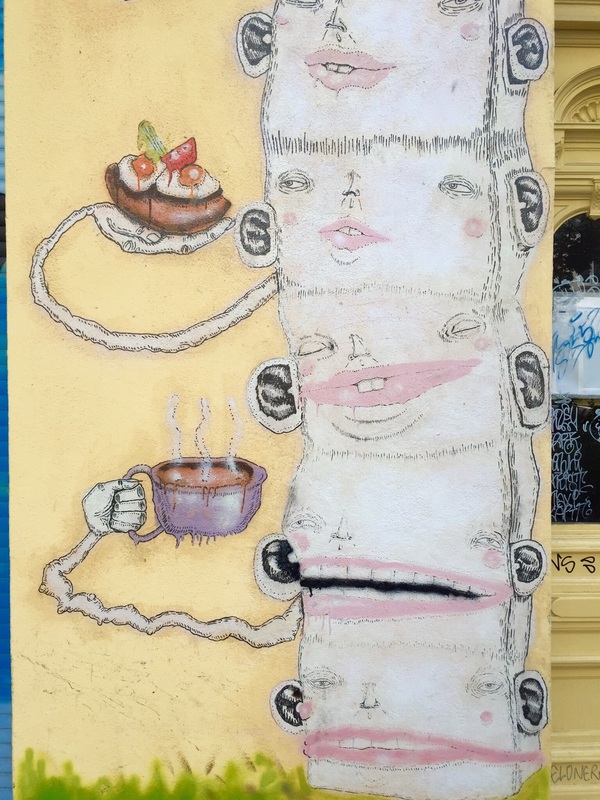 Berlin is full of art, food, history, efficient public transit, cool people. Added bonus: it's inexpensive. I wish I could live here.